Tripawds Downloads » Commercial Dog Food and Cancer: Is there a Connection? Dog Kibble and Cancer: Is there a Connection? We wanted to find out what our members ate, and if diet types correlated with increased rates of cancer. 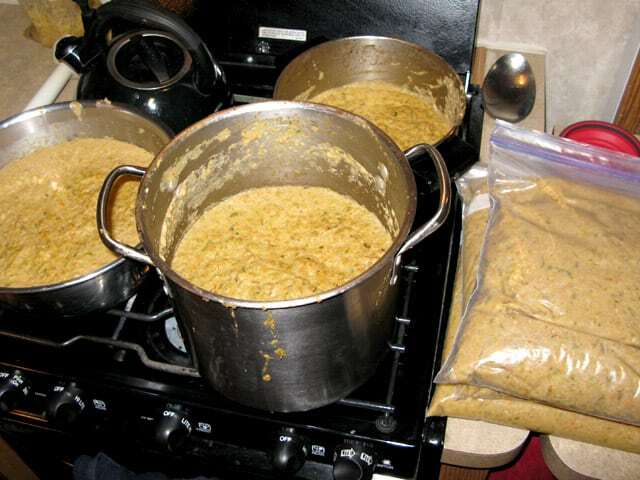 From home cooking to commercial kibble, pawrents told us what they fed their dogs. 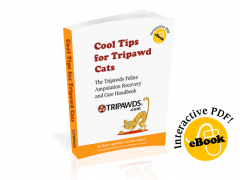 Most Tripawds ate a 100 pawcent kibble diet prior to diagnosis. While many of us wonder if feeding our dogs a kibble diet attributed to their cancer, we hope this one finding helps put your mind at ease, if only a little. We aren’t scientists, but based on these responses, it seems that even dogs who are fed a healthy diet from day one are still at risk of cancer. Seems like you can’t win either way, but there are things we can do to lessen that risk. Dr. Demian Dressler, author of The Dog Cancer Survival Guide, believes that dogs who are fed a commercial kibble diet are at greater risk of cancer. Read his recent blog post about commercial diets, “The Latest on Dog Food and Cancer” and find out what you can do to create a healthier diet for your Tripawd. 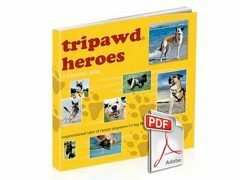 We could sure use help in interpreting our Tripawds Survey findings! Just Download The Survey then share your responses with the community. I am not sure what you put Maggie’s diet under (premixes like Honest Kitchen, Sojourner Farms and Urban Wolf with raw meat/bone added)….but I can attest to the fact that Maggie ate this type of diet BEFORE the cancer diagnosis. She ate kibble only when I first got her at 8 wks. for a short time(Wysong) and then I started adding raw meat to that and then switched to premixes with raw meat. She is now 10 yrs old, diagnosed last fall. It actually made me very angry that she got cancer as she has ALWAYS eaten a healthy diet! She has had VERY few vaccinations(cancer causing?) in her lifetime and never a drop of Frontline or the like, on her! I totally get what you mean, knowing that she ate so healthy and still got cancer is mind boggling. There just doesn’t seem to be any rhyme or reason, and it feels very unfair. But I’m betting that the excellent care she gets from you has made all the difference in how she is fighting the cancer. A dog who is healthy to begin with probably stands a far better chance of a good quality of life with cancer, than one who ate Ol’ Roy, you know? Maggie is definitely proof of that. Go Maggie!